It was never going to be easy. History tells us that K-State has had a tough go with Baylor over the years and that this year wasn’t going to be any different. 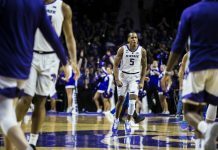 But for a number of minutes Saturday, it appeared that K-State was going to make a game of it. However, not far behind, history arrived at the Ferrell Center in Waco, Texas. As the points poured in for the No. 3-ranked Baylor Lady Bears, the deficit created that much more of an uphill climb. In the end, it was too much. 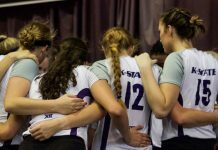 Baylor topped head coach Jeff Mittie and the K-State women’s basketball team Saturday 68-46. The loss is the fourth-consecutive for the Wildcats and the second to the Lady Bears this season. After going down 6-5 early in the ballgame, Baylor caught fire and rode the success of a 22-3 run to take a 27-9 lead with 7:32 in the first half. It was the first of many K-State scoring droughts on the afternoon. Despite struggling to score the ball and rebound, K-State was kept in the game thanks to the play of senior guard Haley Texada. Texada finished 5-14 from the floor, including knocking down three 3-pointers. The senior led the Wildcats in scoring with 13 points on the afternoon, her second-straight double-digit effort since returning to the K-State lineup. K-State closed the gap with a Kindred Wesemann 3-pointer just before the end of the first half to make it 35-24 Baylor at the intermission. However, the Lady Bears quickly turned the game on its head and in their favor with a 23-1 run midway through the second half. In that same span, K-State encountered another scoring drought, this one nearly five minutes until a Bri Craig 3-pointer stopped the bleeding. But it was not enough to test the Lady Bears down the stretch. Three Baylor players finished in double-figures, led by Alexis Prince with 18 points. 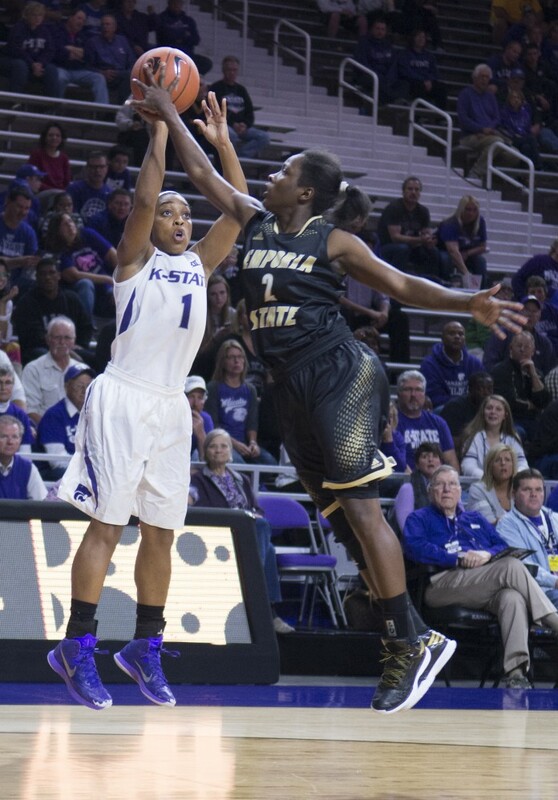 Besides Texada, no other K-State player finished with more than eight points. K-State also struggled on the glass, finishing with a 48-35 disadvantage in rebounding. For large stretches of the ballgame, Baylor was overwhelming on the boards — as well as in several other facets of the game. 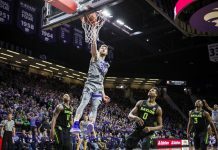 This most recent defeat to Baylor is just the latest chapter in K-State’s Big 12 conference woes. Baylor has now won it’s 20th-consecutive game against K-State. 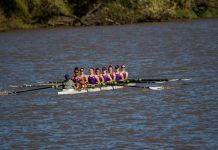 K-State will look to right its ship Wednesday as it faces Oklahoma State. Tipoff is set for 7 p.m. from Bramlage Coliseum.